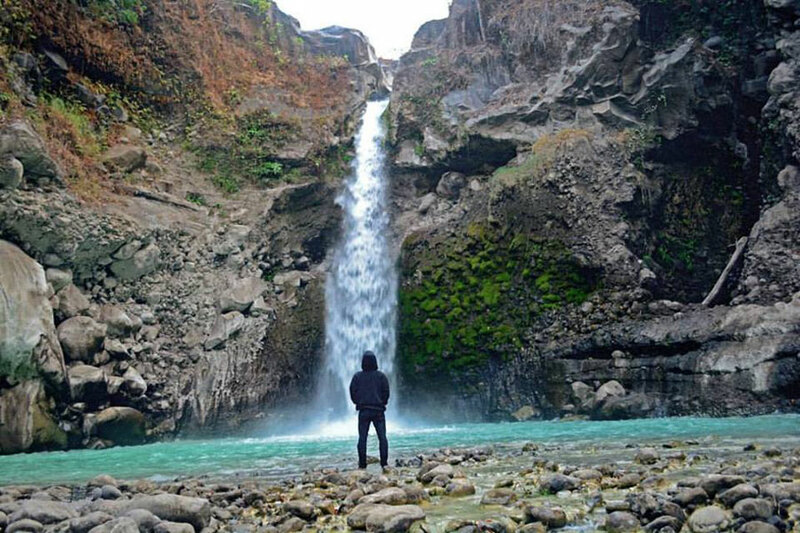 That is a Natural Park, Pergasingan Hill at 1670 meters which height above sea level, this park is located on a hill north of the Sembalun village. Pergasingan taken from the word (Gasing) and the top of the hill have a history that this hill was once used to match a top game by residents Sembalun. And has now become a Natural Park – TWA ( Taman Wisata Alam ) Pergasingan hill has many tourists visited by local and international because the location is very interesting and incredible scenery can be enjoyed in this mountain, ranging from camping ground, the beauty of the sunrise and sunset and are no longer overlooked stretch of frosting colors paddy fields and colorful villages will always be remembered Sembalun back in the visitors. Some visitors use this place as a training before climbing Mount Rinjani even now this hill has been in use as a start for Extreme sports such as paragliding, mountain bikes and other, besides Pergasingan hill called the paradise of photographers because in these hills can all enjoy ..! 60% of visitors who come to these hills are high school students and college students who take advantage of the weekend to relieve boredom in the city, in the hills because it is the only one who answered the sense of boredom in the city, besides the students also take advantage of this hill as a place of learning about the true nature, because in Pergasingan hill visitors can find thousands of species of flora and fauna, and it all functions for humans and the natural surroundings..! 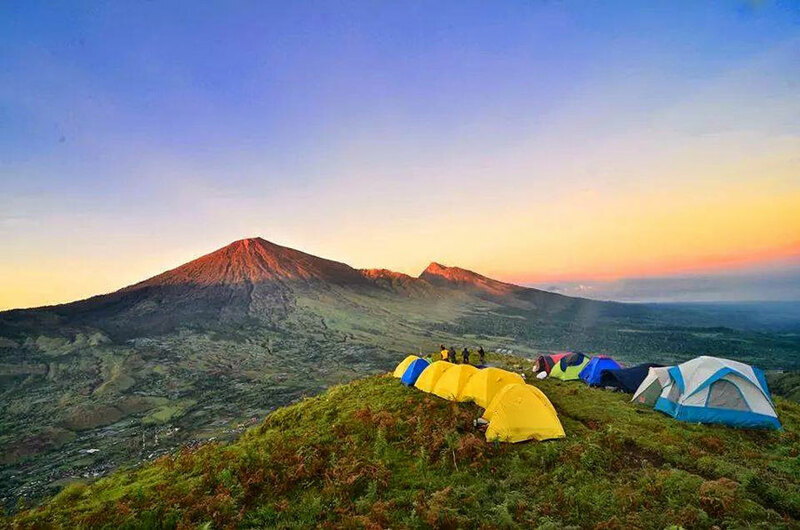 Enjoying a hilltop Pergasingan inexperienced climbers should also do so, this package we offer stunning scenery, ranging from the highlands, lowlands, rice fields, hills that surround the village Sembalun. 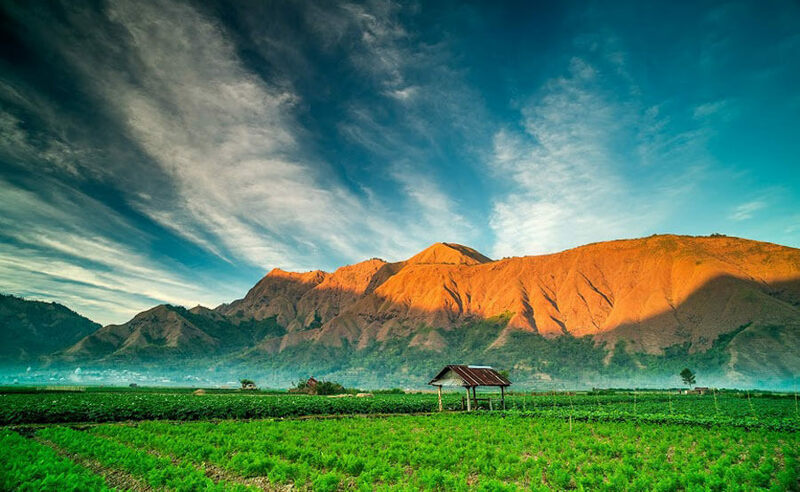 All types of preparation begins in Sembalun Lawang, you have an unforgettable adventure to the highest part of the hill Pergasingan, you will arrive at the top of the hill Pergasingan at lunch. Once finished lunch, drive back towards Sembalun Lawang and will arrive in the afternoon. This will test your mental and physical strength. Acquainted with the guide at the hotel while enjoying your morning breakfast. The journey begins !!! trail leading through the hills Pergasingan tended vegetable gardens and rice fields that surround Sembalun Lawang. the result of this fertile land to provide food needed by the local community, and will be your main menu while in the mountain national parks rinjani. all foods prepared by us. The first resort is on the ridge of the hill Pergasingan, a spot distance of approximately 1.5 hours of Sembalun Lawang village. the ridge trail leading through a very extensive grasslands. enjoy snacks and drinks you there while making preparations for the next trip. 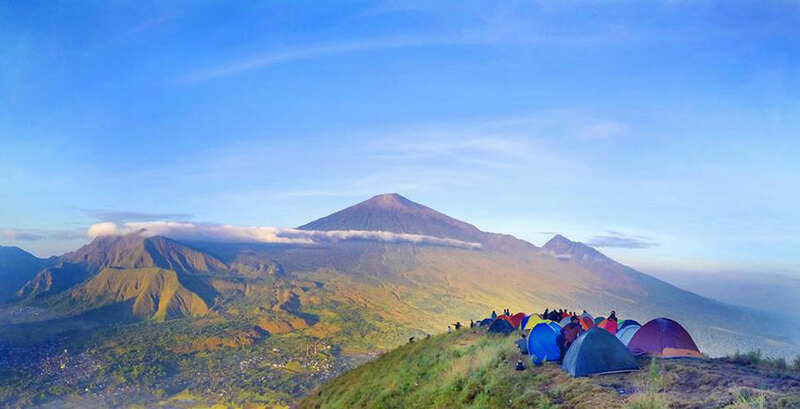 The trail between the ridge to the summit is not too steep, after 1.5 hours you will samapai Pergasingan hilltop, a place where you can watch the entire village Sembalun and hills that surround it. you should have lunch at the hilltop Pergasingan. When he reached the top of the hill Pergasingan you'll be amazed at how beautiful this world in which her eyes and your mind will be pampered by the beauty of the universe that is so beautiful from the hilltop Pergasingan, besides you see the beautiful village of Sembalun you will also hear the chirping of birds around you, and wild cattle that still you can see on the hill Pergasingan, lunch, while looking and feeling natural beauty, the porters will prepare lunch for you serve. After lunch you will be invited to surround the hilltop Pergasingan where all sides hilltop offering panoramic different Pergasingan such, the western part of the hill Pergasingan you will clearly see how beautiful Mount Rinjani clearly visible, the peak of the southern part of the beautiful scenery of rice fields to the community Sembalun that seemed to deliberately arranged but all that was there with naturally, in addition to rice fields, you also can watch the village Sembalun the lake surrounded by hills, Pusuk Selong, lassie and other hills in the east, you will be presented to enjoy how beautiful the natural vegetation that is still heavy with old trees for decades, even centuries so that in the forest there are wild animals such as deer, wild boar and deer ape wild birds other two can you hear that you will be amazed and want to come back again to visit the region Pergasingan hill, besides the beauty of the view from the top of the hill in the north where the Pergasingan of this hill you will enjoy and breathe in the sea air that normally carried by the wind that accompanied us to be relieving stress or boredom. Before nightfall the porter you will prepare your dinner are served, when the sun sinks in the food that will be to back by the porter you will you serve accompanied by the sun which in this case every second day will sink right eye on foot unung rinjani north west, after dinner is finished then you kompiltah your thoughts on the first day. The sun usually rises at 06.00 and you can watch the sunrise with clear from the hill Pergasingan so sebelun 06.00 am, you will be built right by the porter or guide you and before you wake up your bed and the porter you are ready to serve you with breakfast your first, after breakfast first you will be invited by your guide to see the sunrise from the eastern horizon where the sun is gradually will illuminate the hills that surround the village Sembalun, before the sun shining on the hills and villages that Sembalun the first rays of the sun will be shining on the third highest mountain in Indonesia (Gunung Rinjani). After a climb of Hill Pergasingan, we will drive the pickup to the waterfall, The river that traversed to reach the waterfall Telaga Madu is truly enchanting. Along the way you can enjoy the charm of the river cliffs are met by natural stones are beautiful. 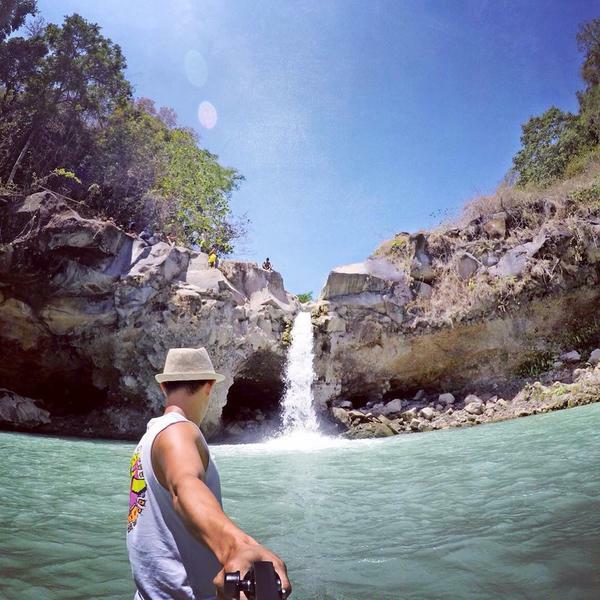 You can also watch the expanse of rocks is also not less mempesonannya and I am sure that you will not waste the opportunity to document your trip around the river flow. After traveling approximately 6 to 7 minutes then you will see a pretty big waterfalls and tall with greenish white water, that's the Waterfall Telaga Madu. - One night hotels in Sembalun Lawang and breakfast include. 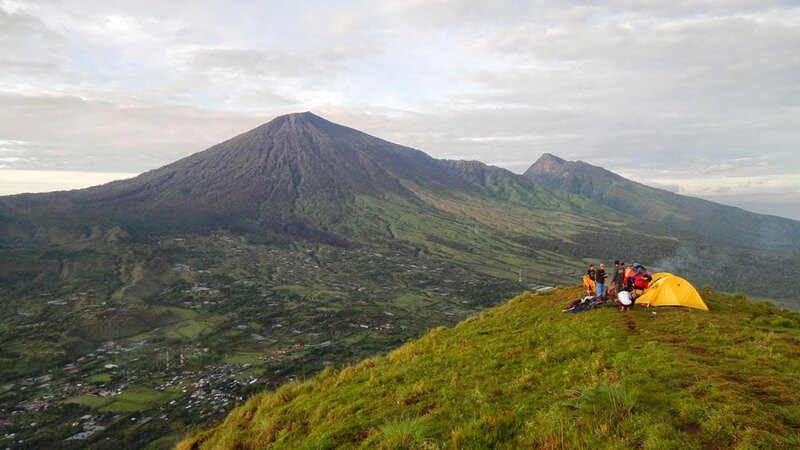 The ascent of Pergasingan Hill requires you to have a good level of fitness and ability to walk long distance. Person with mountain sickness or height phobia and also asthma are not allowed to join this tour. Individual or group departures are available upon request. We can customize any date based on request with minimum 2 persons in each group. 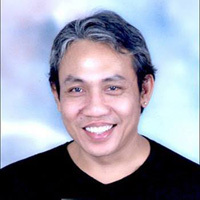 There are two type of service to choose, Deluxe or Budget service. Our porter will carry food, tents, sleeping bags, mattresses, tarpaulins and kitchen tools are included, the porters are all very fit bring all stuff to Pergasingan Hill each 20 kilos, and not include carrying your bag to the porter, When the guest are 2 people as climbers, we use 1 porters and 1 guide. Preferably things that do not need to take it your bag to climb to Pergasingan Hill like a snorkel, so items must be in packing before climb in the morning from your hotel. Your luggage will be stored securely in locked warehouses Lembah Rinjani Hotel, after arriving in Sembalun climbing activity, your luggage will be taken back by our coordinators. It's the usual things we do with our guests. Please, give us detailed information of a certainty your flight name and time come to Lombok Airport also the hotel name after trekking Pergasingan Hill, please advise us the full name participants to help us monitor as a visitor to Pergasingan Hill.